Hotel Gritti is one of a trio of legendary grand hotels in Venice that also includes the Bauer and the Danieli. What the Gritti offers is a personal touch, and an emphasis on quality which is especially evident at breakfast time. The furnishings in the rooms and lobby alike are mature, refined, lavish and charming. A lesson can be learned from the decorators, who have used antique furniture to effectively and harmoniously unite various parts of the hotel. Another unique point is that Gritti’s rooms differ greatly from one another – some are simple with hardwood floors, while others are plush and luxurious. 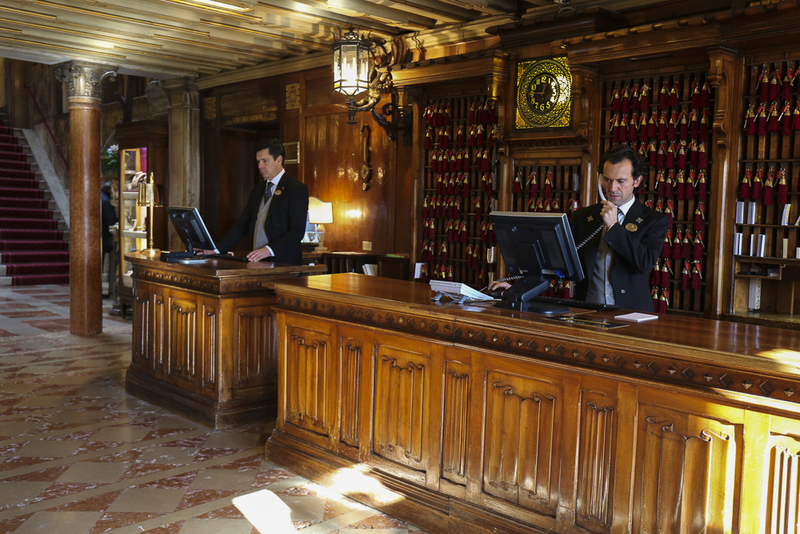 When the city floods – lately not a rare occurrence – the Gritti offers a quintessentially Venitian experience: staff don rubber boots and guests are ushered along a wooden plank for check-in.